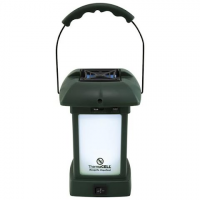 Clip the All-Purpose Swivel Light to ThermaCELL Mosquito Repellent Appliances or use the simple adaptor to create LED clip on lights or clip on hat lights. 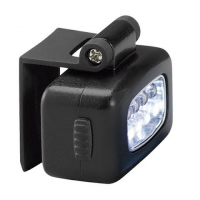 Light emits either green or white beams one color at a time. 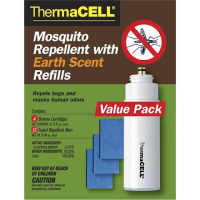 Extend the time your ThemaCELL Backpacker mosquito repeller fends off biting bugs with the 24-hr. 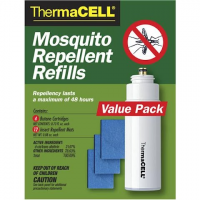 ThermaCELL Backpacker mosquito repellent refill mats. 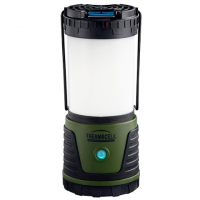 Create a 15 x 15 ft. barrier against bugs with the compact ThermaCELL Backpacker mosquito repeller. 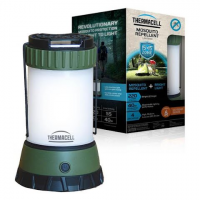 It runs on an isobutane/propane fuel canister to provide insect-free protection in the wild. 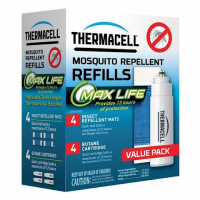 ThermaCELL Mosquito Repellent Appliances are easy to take with you anywhere and are the most effective area mosquito repellents on the market. 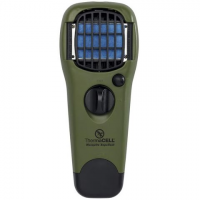 The Mosquito Repellent Appliance is convenient to carry. 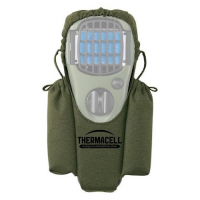 Give your Thermacell Olive bug repeller a safe home and keep it within easy reach with the Mosquito Repeller Holster. 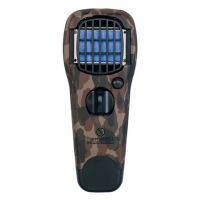 Fend off the bane of biting bugs wherever you wander. 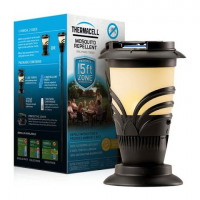 The lightweight and portable ThermaCELL MR150 mosquito repeller surrounds you with a 15 x 15 ft. zone of protection from insects.